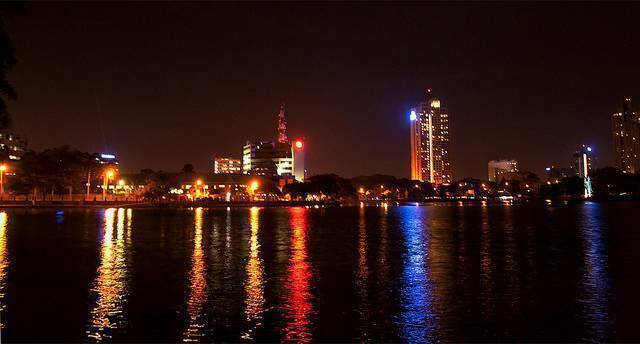 Situated in the heart of Colombo city, the Beira Lake provides a nice evening out, however, due to the poor maintenance, once cannot spend too long there. The walk around the lake takes around 30 minutes, but the path is dirty, with litter scattered everywhere. A few benches under shaded trees are a good spot to hide away from the blazing overhead sun. For those who want to spend a few hours by the lake, boating is a good source of entertainment. Plenty of swan-shaped boats are available for average prices. Hence, the lake, which would have once been a home to beautiful flora and fauna, now, is an olive colored, contaminated water body. Characterized by green fungal water, garbage lined banks and a stinky smell, the Beira Lake is a water body that has been a victim to pollution and commercialization.